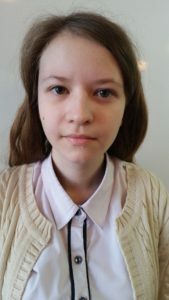 The school congratulates the winner of the All-Russia Olympiad (Municipal Period) PANCHENKO ALYONA, Grade 11. She was the best and won the 1st place. We wish you success and good luck in future!